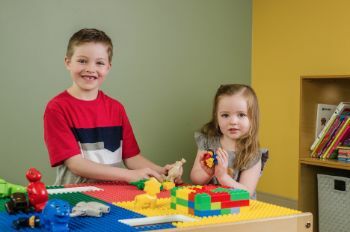 If your family is new to the Castle Rock area or it’s time for your child’s first dental visit, we hope you’ll consider trusting your most precious smiles to our skilled, caring dentist and team. We’re dedicated to helping young patients achieve their healthiest smiles and keep them whole and healthy for a lifetime. Take time before you visit to find out more about Castle Rock Smiles, Dr. Benzley’s training and experience, and out caring team. Contact us anytime with questions or to schedule an appointment. 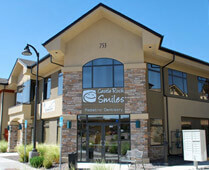 The Castle Rock Smiles team is dedicated to ensuring every patient gets the comprehensive dental services they deserve in a stress and pain free environment. Paying for treatment can be a cause for concern, but we never want financing treatment to prevent patients from getting the dental care they need to maintain optimal oral health. We work with each patient to maximum coverage from dental insurance benefits. We are in-network providers for most PPO plans and are also a Medicaid provider. That means we’re able to offer treatment that is covered at a higher percentage for these plans saving patients on the out of pocket costs associated with care. We accept payment in form of cash, credit, and check for the cost of care not covered by insurance at the time of treatment unless otherwise determined prior to treatment. We also provide financing options if necessary. 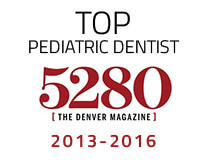 If your child has a toothache or you’re trying to decide what practice in the Castle Rock area is the right solution for your family, we invite you to contact our knowledgeable dentistry team to schedule a complimentary consultation. During this consultation, Dr. Benzley can answer your questions, take you and your child for a tour of our office, and discuss our practice philosophies and potential treatment options. Our goal is to ensure that kids and their parents feel 100% comfortable trusting their smiles to our care.